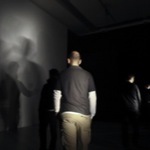 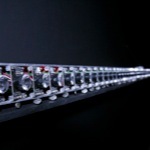 Rafael Lozano-Hemmer - Project "Sustained Coincidence"
Sustained Coincidence is an interactive installation activated by the spatial relationships of visitors within a gallery. 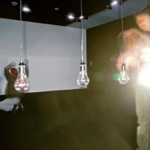 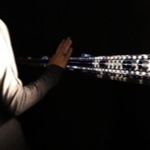 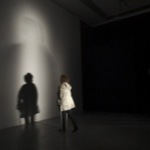 The piece consists of a series of incandescent lightbulbs that light up in reaction to the participants’ positions, in such a way that the shadows cast on the opposing wall are always overlapping. 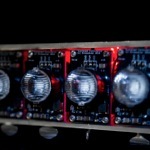 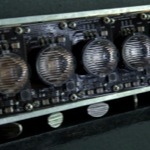 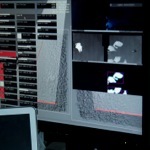 The piece is inspired by the phantasmagorias on the one hand and surveillance and digital analysis on the other. 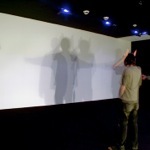 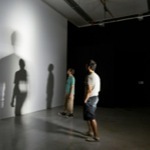 Keywords: indoor, lights, shadows, interactive, tracker. 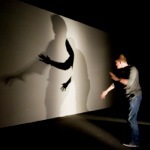 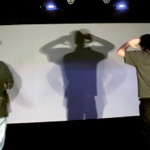 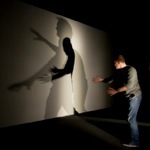 ShadowDance, Kunsthal KAdE, Amersfoort, Netherlands, 2010 - 2011. 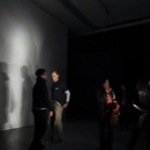 Recent works, Galerie Guy Bärtschi, Genève, Switzerland, 2009. 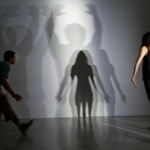 Phantasmagoria: Specters of Absence, Salina Art Center, Salina, Kansas, United States, 2008. 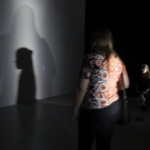 Phantasmagoria: Specters of Absence, Fisher Gallery, University of Southern California, Los Angeles, California, United States, 2008. 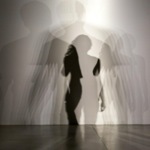 Phantasmagoria: Specters of Absence, The John and Marbe Ringling Museum of Art, Sarasota, Florida, United States, 2008. 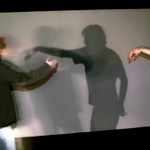 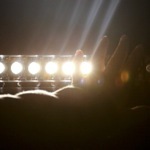 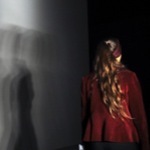 Phantasmagoria: Specters of Absence, McColl Center for Visual Art, Charlotte, North Carolina, United States, 2008. 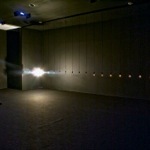 Phantasmagoria: Specters of Absence, ICI, Biblioteca Luis Angel Arango, Bogotá, Colombia, 2007.